Top Ships Inc. announced yesterday that it has taken delivery of the M/T "MISS MARILENA" from SPP Plant & Shipbuilding Co., Ltd of the Republic of Korea. TOP Ships Inc. announced yesterday that it has taken delivery of the M/T "MISS MARILENA" from SPP Plant & Shipbuilding Co., Ltd of the Republic of Korea. The "MISS MARILENA" is the first of six 50,000 dwt product / chemical tankers to be delivered within the first and second quarter of 2009. The "MISS MARILENA" has entered into a bareboat time-charter employment for a period of 10 years at a daily rate of $14,400. 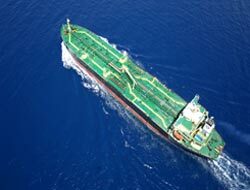 A fleet of eight double-hull handymax tankers, with a total carrying capacity of approximately 0.4 million dwt, of which 50% are sister ships. All of the Company's handymaxes are on time charter contracts with an average term of one year with all of the time charters including profit sharing agreements above their base rates. Five newbuilding product tankers, which are expected to be delivered in the first half of 2009. All the expected newbuildings have fixed rate bareboat employment agreements for periods between seven and ten years. A fleet of five drybulk vessels with a total carrying capacity of approximately 0.3 million dwt. All of the Company's drybulk vessels have fixed rate employment contracts for an average period of 25 months.